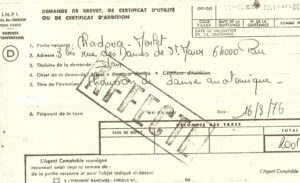 1974/ The beginning of the adventure. 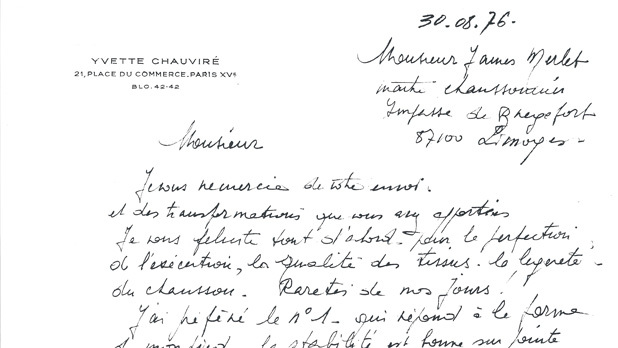 When he decided to develop ballet shoes, it wasn't by chance that he met Roger Béchade. This famous violinist was married to a principal dancer for whom he was making the pointe shoes. From this meeting, the passion for ballet was born. Slowly, the reputation of Merlet grew and spread over the region. 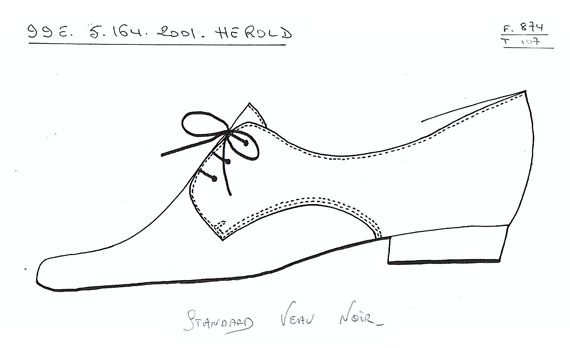 Roger James Merlet made ballet slippers for some of the most famous dancers including Yvette Chauviré. 1978/ An apprentice (not like the others) joined Merlet. 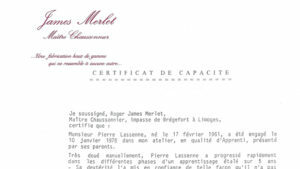 This year, a young man of 17 years old joined Roger James Merlet. This man is Pierre Lassenne. A real professional and human alchemy which will be the start of a long and nice collaboration. 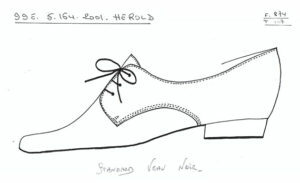 1980/ The 'stitch and return’: a technique which will change the ballet shoes for ever. 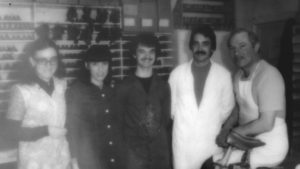 It’s in the small workshop in Limoges, rue des Belges, that the team develops the shoes with the comfort of the dancers in mind. 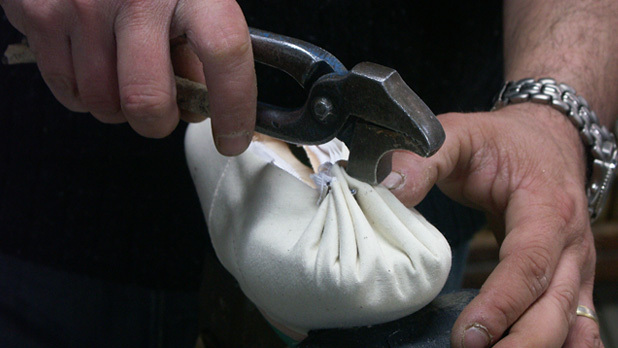 At this time, around 50 pairs of pointe shoes were made every day. 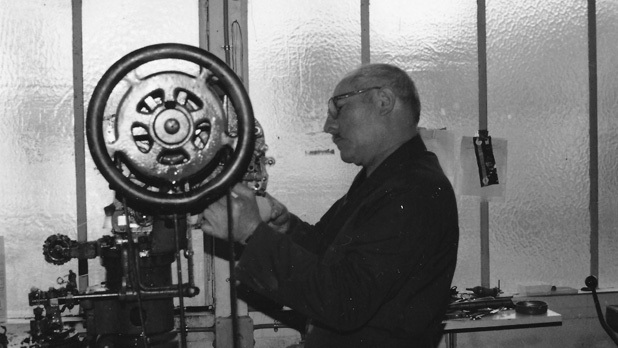 It’s also at this time that Roger James Merlet and Pierre Lassenne discovered the stitch and return technique. This technique will bring a new way of dancing and comfort. 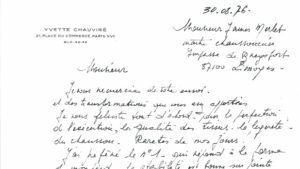 Concerned about the perfection and the slightest detail, Roger James Merlet and Pierre Lassenne studied with professors from the Limoges hospital. The aim was to really to understand the anatomy of the dancers in order to guarantee a perfect product adapted to each dancer. It’s 12 years since Pierre Lassenne joined the company. 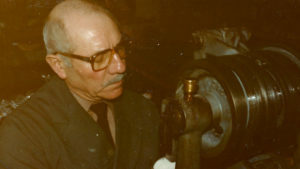 During those 12 years that Roger James Merlet gave his savoir faire and knowledge. 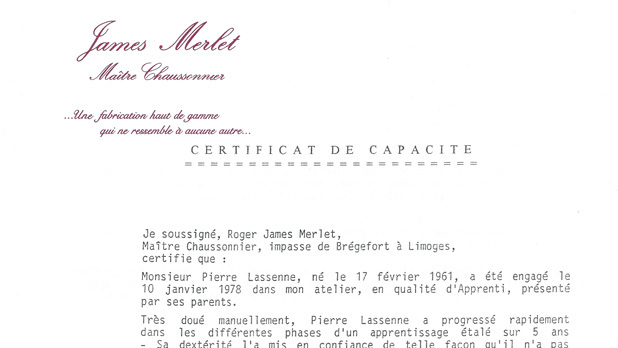 When the time came for Roger James Merlet to retire, it was natural that Pierre Lassenne took over the company. R.J Merlet will always keep tabs on the company. Another innovation is the use of the polycarbonate in the manufacturing of pointe shoes. It’s really flexible and unbreakable. 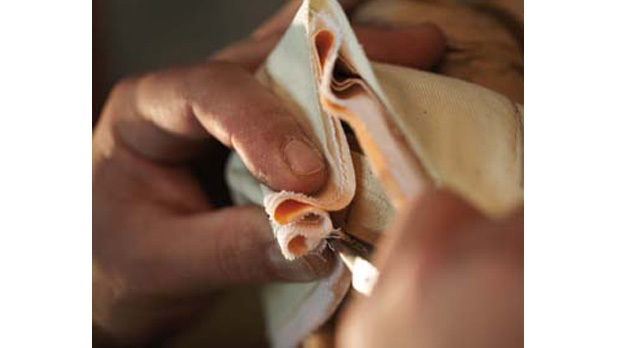 This discovery extends the lifespan of the pointe shoes. 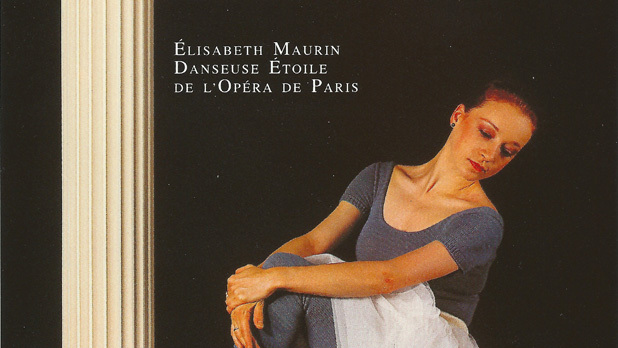 This first collaboration with a dancer “Etoile” at the Paris Opera was with Elisabeth Maurin and lasted two years. 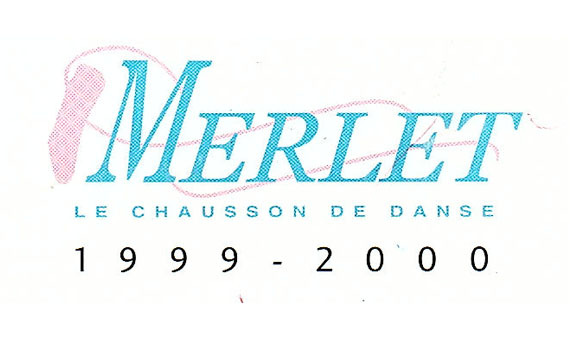 During these two years, the dancer was the model for Merlet. With its “savoir faire” and many years of experience, Merlet decides to develop ballroom shoes. The first one of many is “EVA” which is still in the collection today. 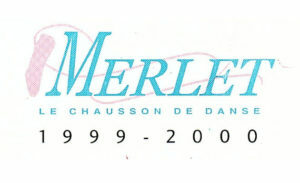 1998 / Marie-Claude Pietragalla and Nicolas Le Riche: two “étoiles” meet Merlet. 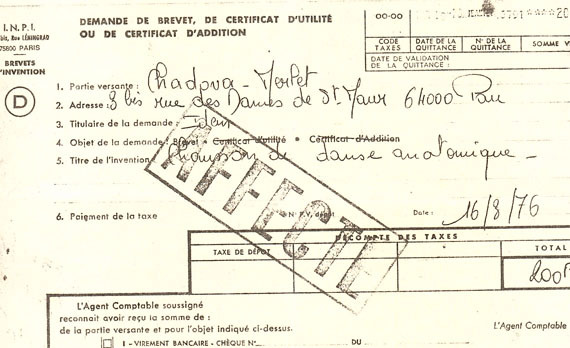 10 years since Pierre Lassenne became director of the company. 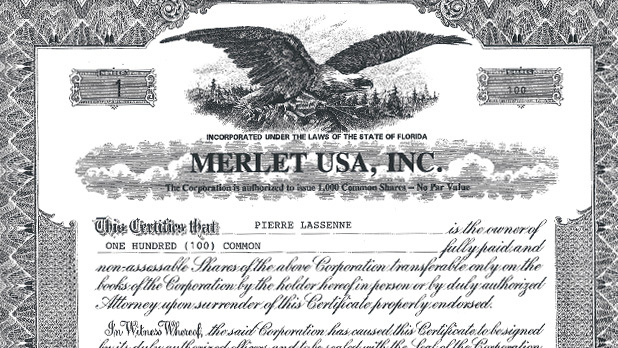 The knowledge of his team and his insight allows Merlet to increase its turnover by 7 times. Exports reached 20% of the turnover. Nowadays it’s around 50% of the turnover. 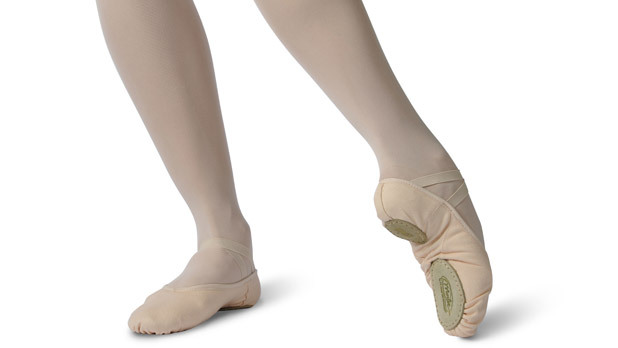 Merlet expanded its range and for the first time launched two models of soft ballet shoes. 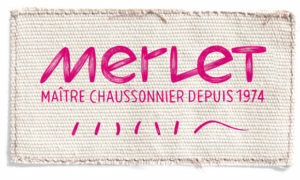 ECLAT and ENVOL joined the Merlet catalogue. Thanks to the collaboration with Marie-Claude Pietragalla, Merlet develops its new leading product: the Prélude pointe shoe. 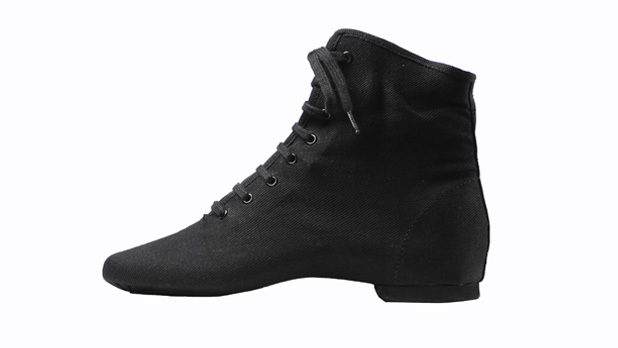 This pointe shoe was developed after many years of study. 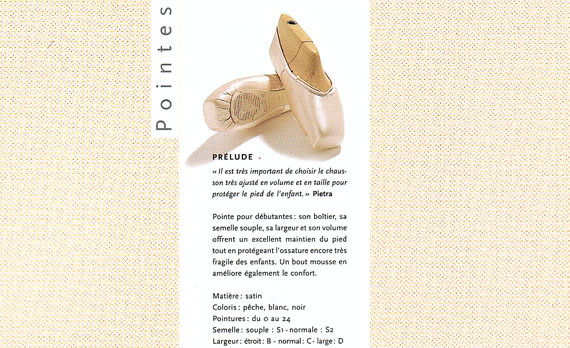 A fabulous pointe shoe which allows the children to dance on a point shoe without hurting the body. Merlet re-develops its soft ballet shoes collection and introduces the models Solène and Initiale, for professional dancers. 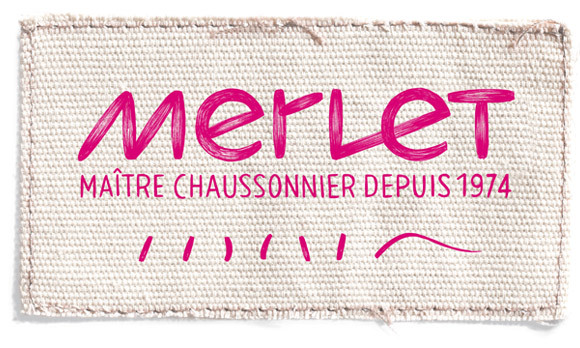 With Merlet, tradition goes with innovation… with its new corporate identity, Merlet offers a young image. This image is also keeping the tradition and savoir faire that Merlet is known for. Merlet launched its first pointe shoe with an inside microfiber for a better comfort and look. N2 is also new for its inside in pink. 2011/ Merlet renews its ballroom shoes collection. 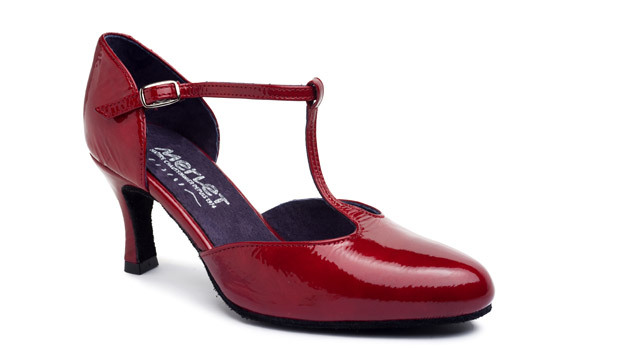 Merlet renews its entire ballroom shoes collection. It’s a great success! In 2012, Roger James Merlet left us. Pierre Lassenne continues to perfect this knowledge. Now, it’s his turn to pass on this experience to his team and with great pride the continuing Merlet tradition.